and planning systems with local government and education officials in Kratie Province. 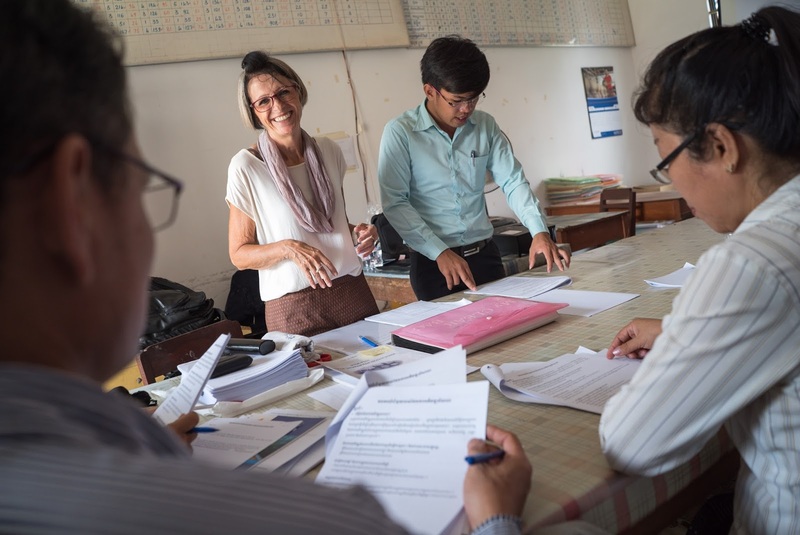 A Dutch educator is using her 39-years of experience to help officials in Cambodia create superior education management and planning systems – and ultimately brighter futures for local children. After nearly four decades of working as a teacher, adviser and director at a number of schools, Marja Sosef wanted a new challenge as a volunteer and this led her to Cambodia. Sixty-year-old Marja said she always wanted to work in a developing country after travelling the world and witnessing children denied learning opportunities their counterparts in developed nations get as a basic right. Siem Reap Province about discipline before morning classes start. 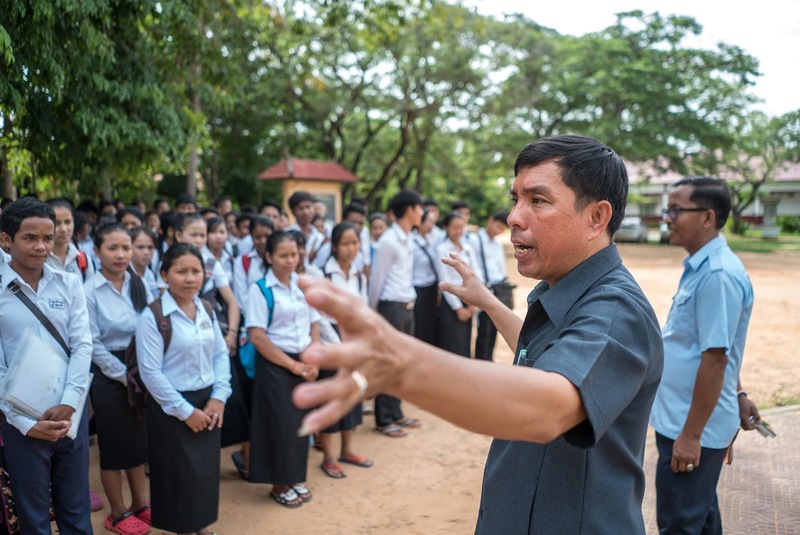 On a normal day, 42-year-old Limkheng An walks from class to class, talks to teachers and students and checks if there is anything he can help with. As a school director he knows his job well; to improve learning, discipline, teaching and the overall environment at his school. Mr. An has been the director of Puok High School in Siem Reap Province since 2010. Mondulkiri, Cambodia, December 2016 – Phyang Moeun, 35 years old, holds her ID Poor card in one hand and her youngest son in the other. This is her sixth child, but the first she delivered at the hospital. Until this child, she did not have the means, financial or otherwise, to receive proper health care during her pregnancy or labour. But the ID Poor card, which she recently received following efforts by the Commune Council, ensured her recent birth would be different – and much safer. Kratie Province, Cambodia, December 2016 - Mao Sokheng is a 30-year-old mother of three who lives in the rural village of Beung Run, about 21 kilometers from the provincial capital. Seated on the balcony of her home while gently stroking her youngest, a four-month-old boy named Mithona, Sokheng describes how she made sure to register her two youngest children within 30 days of birth.